This award is in recognition of the high quality work implemented on the Bharuch to Surat section of NH- 8 under Highways and Bridges Category. 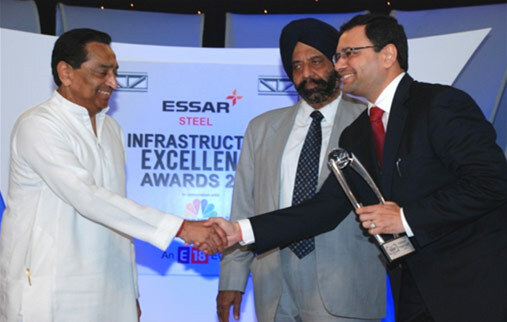 Hon’ble Shri Kamal Nath, Minister of Road Transport and Highways present the award to Shri. Virendra D. Mhaiskar, Chairman & Managing Director of the Company and IRB Group.